It’s no secret that server virtualization affects the network. So for some organizations, virtualizing the network itself makes a lot of sense. 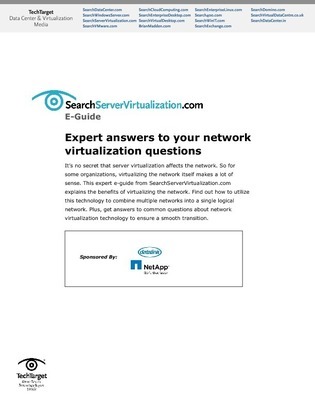 This expert E-Guide from SearchServerVirtualization.com explains the benefits of virtualizing the network. Find out how to utilize this technology to combine multiple networks into a single logical network. Plus, get answers to common questions about network virtualization technology to ensure a smooth transition.